We have been talking attractions in Tourism (HT100), and in hospitality, will be delving into singular entities of the industry (like hotels, resorts) that make up a part of the man-made or physical landscape. What is landscape? How does it define us as tourist? How does it define tourism as a whole? Is it a motivator? Is it a supporting character? Does it stand on its own? These are all valid questions. Furthermore, VisitScotland has a page devoted to the landscapes created within the Wizarding World of Harry Potter. People are motivated to connect with the mind of the writer. To find that part of the story they played upon their heart-strings. One such for me was the Hogwarts Express and how it meandered through the Scottish landscape. I recognized the viaduct that the train traveled over. I had to find that train, I wanted to experience what the characters were feeling. Was there a train? Yes, there was. 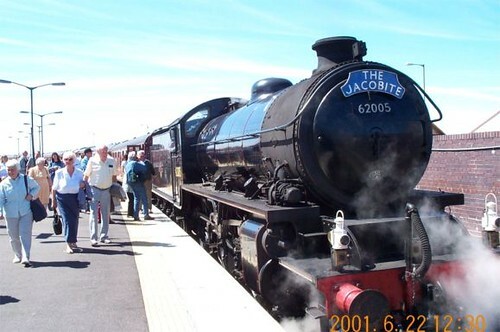 It is called the Jacobite Steam Train and it runs from Fort William to Malliag. It runs that famous route you see in the each of the movies, in one form or another. You feel the magic, your heart aches at the green scenery passing by your window. One of the most memorable moments in the movie series is the stunning journey of the Hogwarts Express from London to Hogwarts, seen at length in Harry Potter and the Chamber of Secrets (2002). This scene was filmed on a real steam train route across the epic Highlands — visitors to the region can recreate the same journey as their fictional heroes if they jump aboard the Jacobite train and travel from Fort William to Mallaig over the iconic Glenfinnan Viaduct. 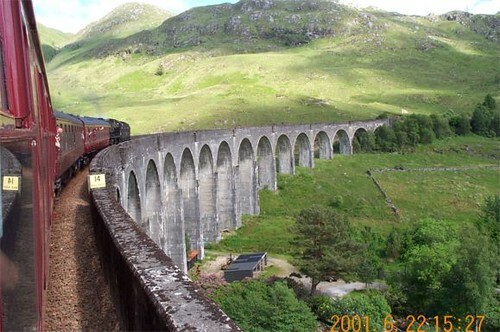 The route has been voted twice by Wanderlust Travel Awards as the most beautiful train journey in the world (http://www.scotland.cn/features/scotland-and-harry-potter). Looking for that dream job….